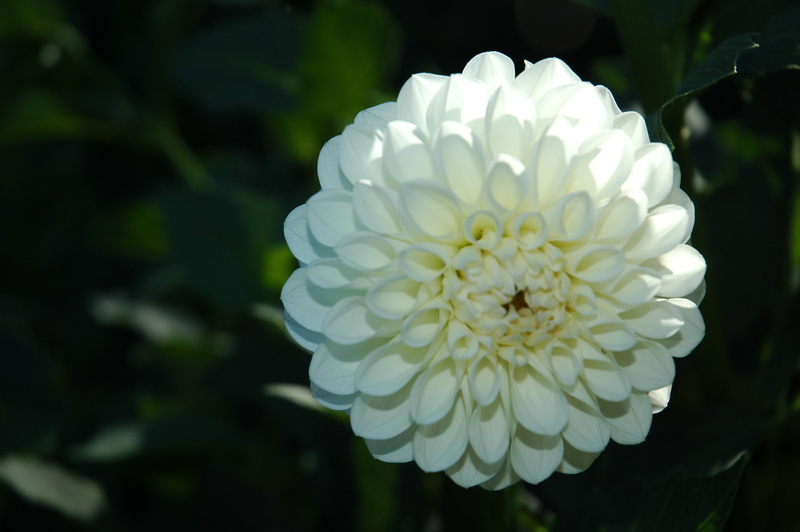 Since March, if you follow our garden chores, dahlias required some attention almost every week and every month, and now, finally, we reap the reward! 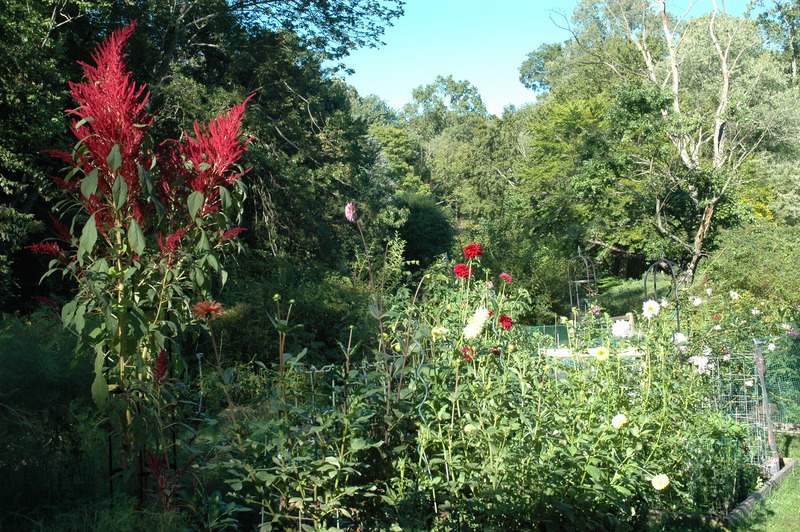 Of the 40 tubers that I planted in the raised beds this Spring, only about half are now blooming. 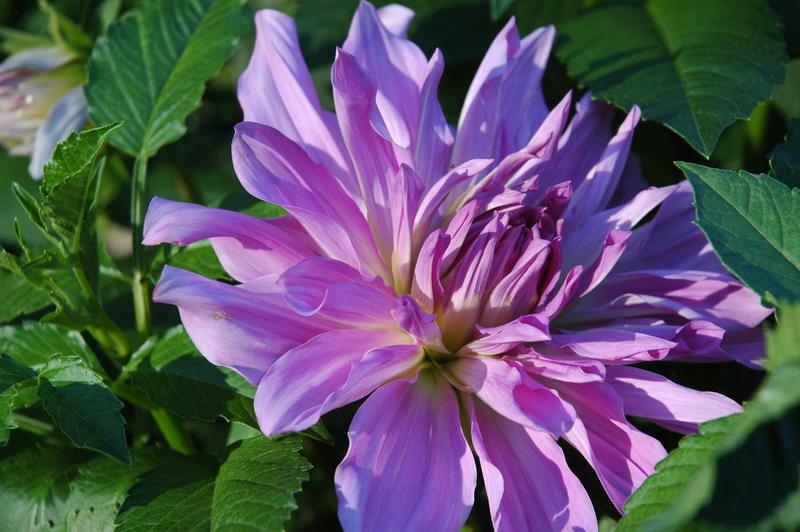 The woodchuck(s), that attacked the dahlias by pulling down the thick stems and eating the leaves and tips of so many plants, were my natural “stoppers” and “disbudders”. 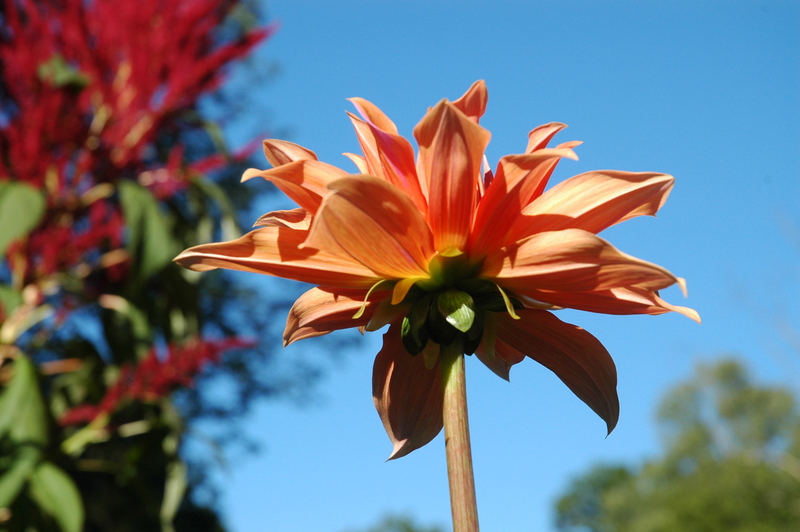 The plants were slowed from blooming each time the animal “pinched” back the growing tip. After we caught the second woodchuck last week, the growth has been swift. I hope the pair are happy in the new woods; we took them to a place where there is water and lots of acreage to forage, away from neighborhoods. might be easily identified, but what about the lavenders. and those replaced, it’s like having an oversized classroom of children starting school. Learn their names quickly, observe their positive attributes and try to help their shortcomings. When they are altogether, they make a lovely group. 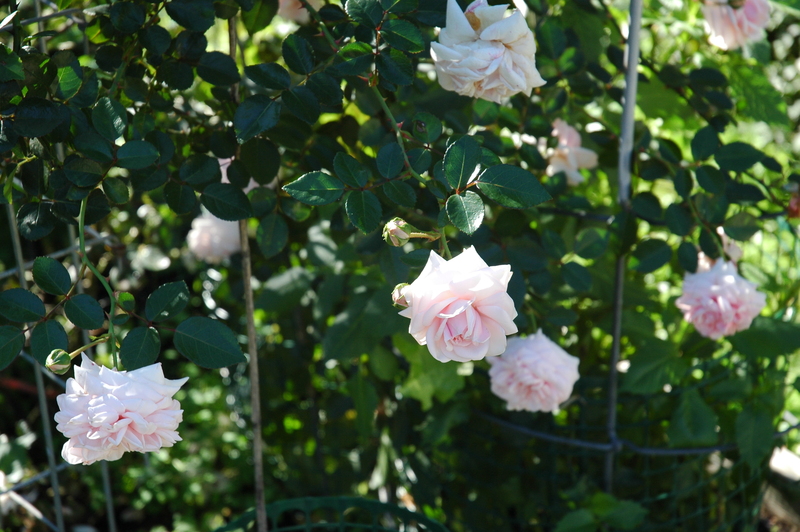 Yes, it is all about the dahlias in September, but let’s not forget that the roses are trying one last time to please us! 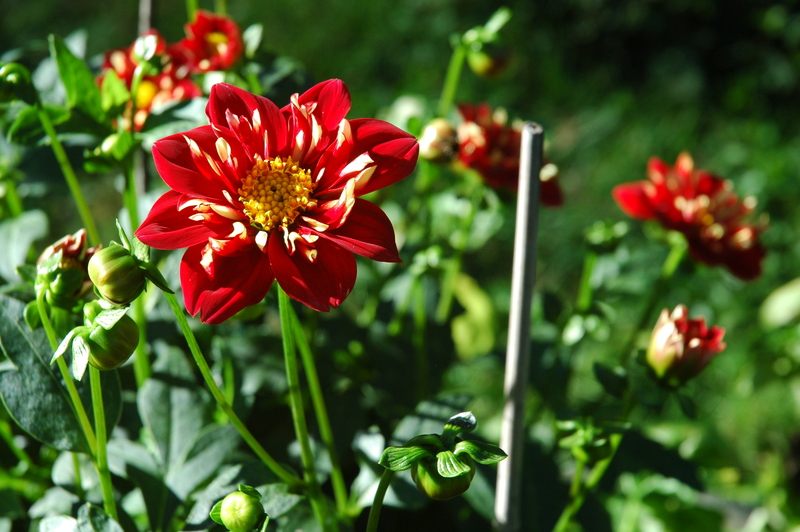 Just as the roses give one last gasp!, the dahlias shout HELLO! 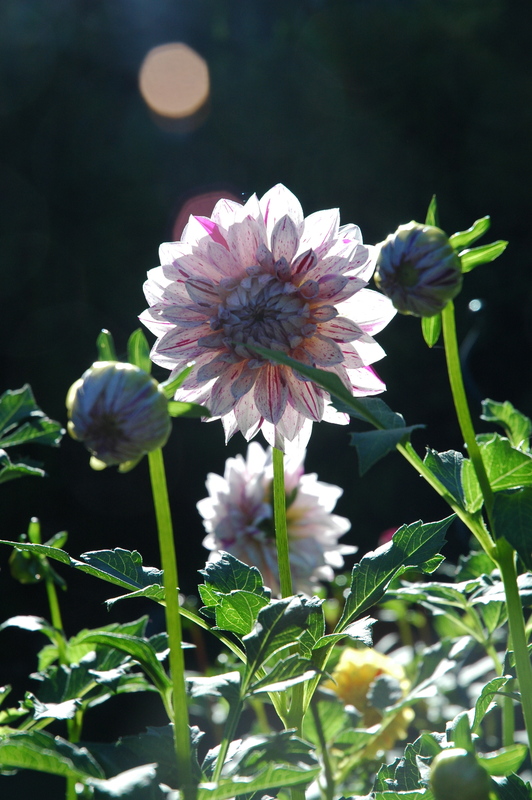 This entry was posted in Uncategorized and tagged Dahlia 'Brookside Ball', Dahlia 'Kelvin Floodlight', Dahlia 'Mary Eveline', dahlias, lavendar dahlias, pinch back dahlias, Rosa 'Awakening'. Bookmark the permalink. 5 Responses to TA – DA HLIAS! 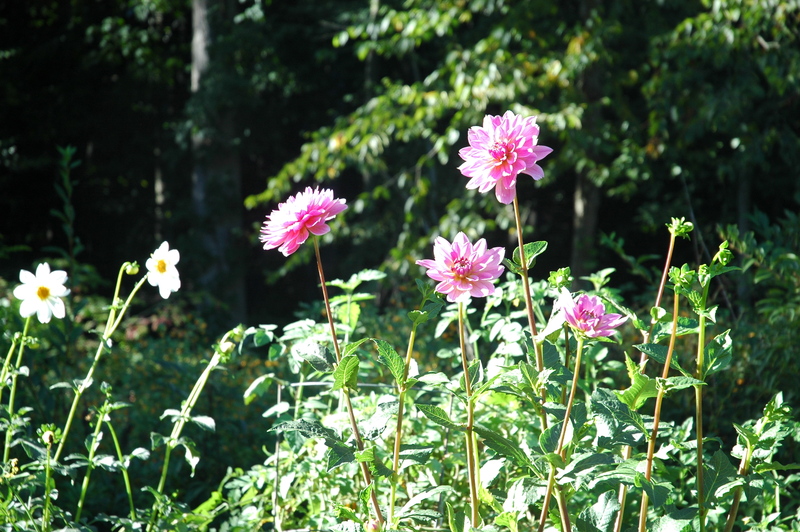 So glad your dahlias are making up for lost time now that you have re-homed the woodchucks. 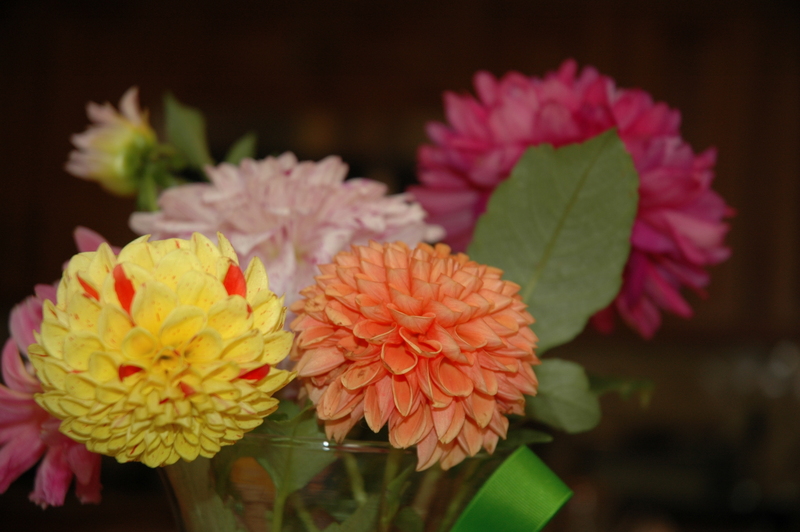 You have a wonderful selection of dahlias, such pretty colours. 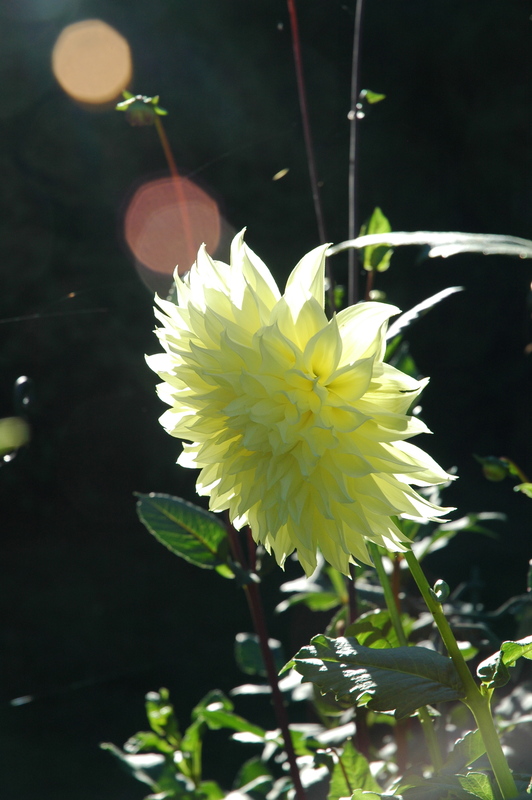 Your dahlias are amazing! The grouping that you have in that one shot literally knocked me over!!! Mine are starting to bloom though I just love your selections!!!! Such Beauty here!!!!! 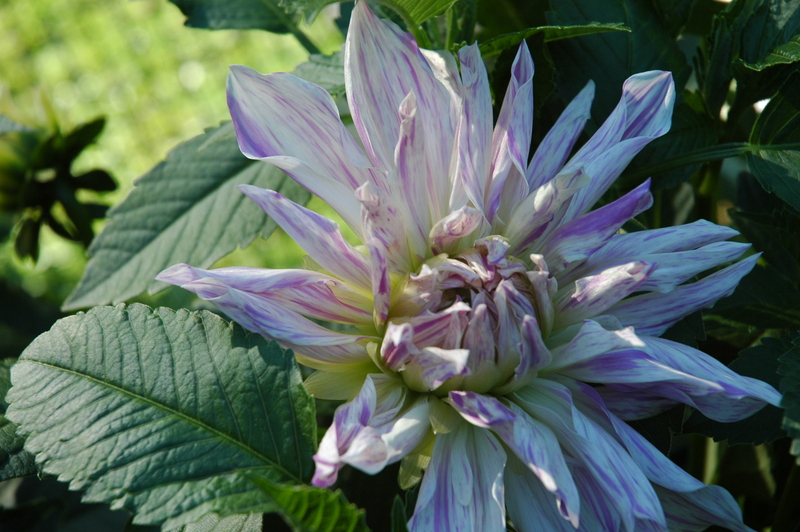 It is easy to get crazy for dahlias, isnt it? Jayne, your lovely comments on my Mary Jane’s Makeup blog went to the spam folder, so I just saw them now. They were so kind, and I thank you so much for them! I am so, so sorry that you went through this with your father, too. It is so hard, and I feel for you. Hi Jayne, the Kelvin Floodlight is a stunning one isn’t it? 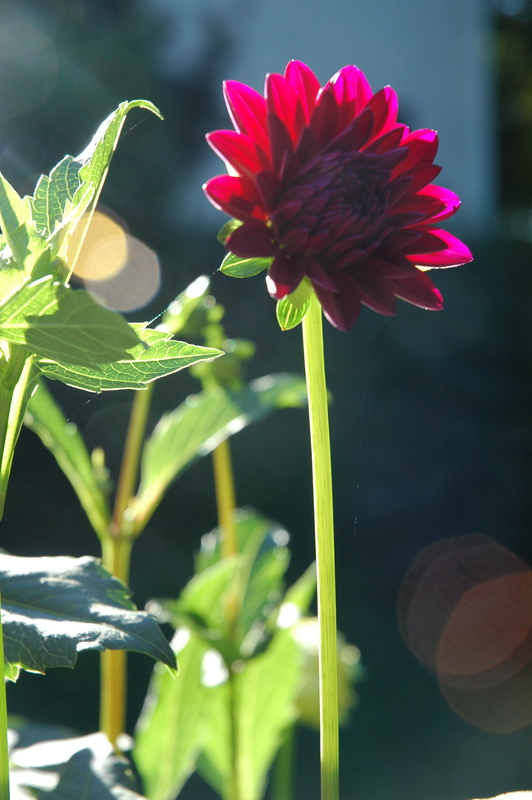 I do wish I had Dahlias, I keep seeing them in everyone else’s gardens except mine! I’m definitely suffering from jealousy, I think they will be making an appearance in the new garden in large numbers if this is the kind of show I can expect from them.